I don’t think I have ever started pulling for a book character as fast as I did Cassandra Knesnov in Crossover. Cassandra is a one of a kind synthetic human, built for war but unlike other of her kind equipped with the ability to think, feel and change. She often seems more human than the natural humans. She has innocence’s and joy that are at odds with her creation. Built by the League, she deserts when she discovers the people she has been fighting for arranged to have her team killed because with the war ending synthetic humans were no longer needed. In her own words she explained what she had planned to do after leaving the League and coming over to live in the Federation. “I was going to have a nice job, and a nice apartment, and I’d go out night and see bands, and meet people and make ordinary friends who know all kinds of interesting things. Maybe I’d even get a boyfriend…”. That’s not what happens. She finds herself in the middle of a power struggle and has to choose who and what to help. Her unique abilities make her a terrible enemy or a great addition to any team. This is an action packed story with great characters and a plot full of good and bad people. There is friendship, betrayal, action and adventure all presented in a great well-written plot. Crossover is the first story in a three book series. I have the other 2 on my to be purchased list. 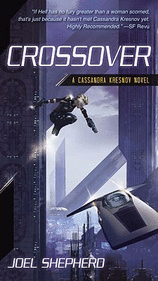 Pyr published the American edition of Crossover by Joel Shepherd in 2009. The series was released in Australia in 2006. The movie rights to Crossover have been purchased and a movie is in the planning. 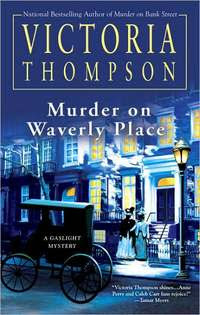 Murder on Waverly Place is the latest addition to the Gaslight Mysteries by Victoria Thompson. The murder of Sarah Brant’s husband was a common thread in the first 10 books of this series. That mystery was finally solved in the preceding book. While solving that crime could have weakened the series the story line has remained strong. Murder on Bank Street. Murder on Waverly Place continues to further the development of minor characters adding depth to the stories. For the first time Mrs. Decker, Sarah’s Mother, is a major player in Murder on Waverly Place. She attends a séance where a murder takes place. We learn more about Mauve as she again has a major role in the story. Sarah and Detective Frank Malloy work to solve the mystery and protect Mrs. Decker from scandal. Murder on Waverly Place is a great addition to the Gaslight Mysteries. The story moves at a smooth pace. The mystery and workings of a séance are well written and researched. Victoria Thompson continues to write good mystery stories, and the Gaslight Mystery series continues to be one of my favorites. Berkley Crime published Murder on Waverly Place by Victoria Thompson in 2009. *While each book can be read as a stand-alone the books are better if read in order. And Only to Deceive is the first book in a mystery series set in Victorian England. Lady Emily Ashton was widowed after only six month of marriage when her husband Philip died while on Safari in Africa. Since she only married Philip to escape her mother she is less than heartbroken. After a required year of mourning she enters the year of half-mourning and begins to accept visitors. Imagine her surprise when her late husband's best friend comes to call because he has promised to make arrangements for Emily to visit Philip's villa in Greece. In the conservation mentions how Philip was very in love with her. As they talk she realizes that she did not know her husband at all. In an effort to understand the husband she largely ignored Emily starts reading Philip’s journals and discovers things about her husband she never guessed. Some of her discoveries lead to a mystery she feels she must solve. And Only to Deceive is gentle mystery with a realistic historical background. Each chapter starts with an entry from one of Philip’s journals. We follow Emily on a path of self-discovery and it is fun to watch her grow. With the exception of her Mother who only wants Emily to marry again, the other characters are well drawn and add to the historical background. I am looking forward to reading the other books in the series. Harper published And Only to Deceive by Tasha Alexander in 2006. Branded by Fire is the 6th novel in the Psy/Changeling series. While any of the novels can be read as a stand-along the books are better read in order. There are also 2 novellas published in anthologies that can go anywhere in the series. Branded by Fire is Riley and Mercy’s story. Both are strong characters that have never found a mate. They are from different changelings groups and while sparks have flown anytime they are together it has been antagonism not romance that caused the tension. When the true nature of their attraction strikes they both have to face issues that will affect their entire lives. Add another political crisis and you have a fact moving story with danger and romance. The Psy/Changeling world just keeps getting better. 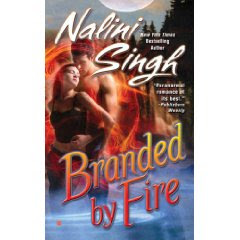 Branded by Fire adds to the political and social world Nalini Singh has created and sets the stage for further stories. Branded by Fire by Nalini Singh was published by Berkley Books in 2009. *This novella was written to stand alone so you can pick it up at any stage in the series. Slave to Sensation by Nalini Singh is set on an alternate Earth where the human race is divided into three distinct types. There are the normal humans like you and I, the Psys who have mental powers, and the Changelings who are part human and part animal. Many years ago because of the high incidence of insanity and serial killing among the Psys they embraced Silence the removal of all emotion. The Psys became the leaders in government and business living apart from humans and Changelings. The Changelings live with their own kind removed from both humans and Psys. There is little interaction between the three groups. This first story in the Psy/Changeling universe sees Lucas, a Changeling whose animal is a leopard, reacting to Sascha, a Psy who feels emotions. 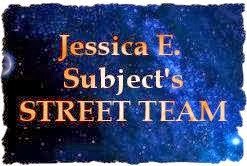 A Psy serial killer who has killed one of Lucas pack mates, a big attraction between Lucas and Sascha, a psychic web that Sascha must escape in order to leave the Psy come together in a spellbinding story. The book has great pacing and tension. The romance between Lucas and Sascha it bittersweet. Interwoven in the story are characters that will be featured in later books. I recommend Slave to Sensation to any of you who like paranormal romances. Berkley Books published Slave to Sensation by Nalini Singh in 2006. This is an update on a previous post on Slave to Sensation. I did this before posting on Branded by Fire. I have been a fan of the Gaslight Mysteries since I read Murder on Astor Place, the first in the series. The unsolved murder of Sarah Brandt’s husband has been a background theme in each of the 9 previous books. In Murder on Bank Street that 4 year old mystery is solved. I did not find the story as gripping as pervious books but was glad to see Sarah get some closure over her husband’s death. I have called these gentle mysteries and Murder on Bank Street follows the same theme. I enjoyed the book and was glad to see that another book in the Gaslight Series is soon to be published in hardcover. 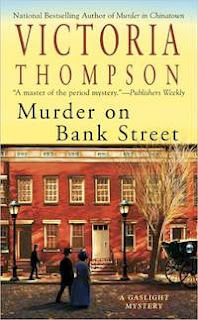 Murder on Bank Street is being released in paperback. Berkley Prime Crime published Murder on Bank Street by Victoria Thompson in 2008. Murder on Waverly Street has just been released. It is on my to be read list. I have been waiting for Touched by Light for almost 2 years*. 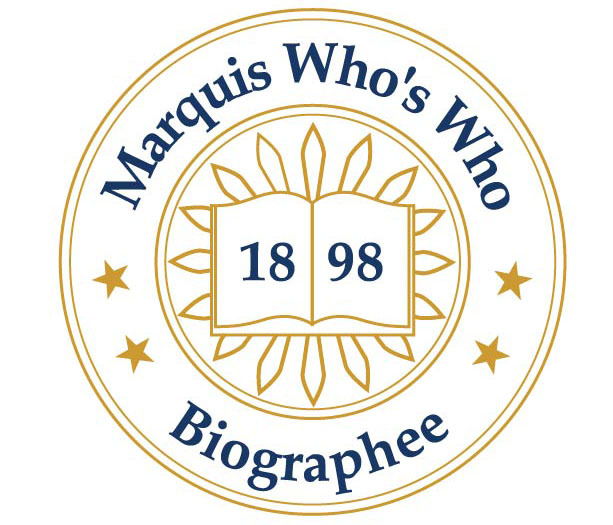 Both characters appeared in at least one of the previous books. Adam was in both Touched by Darkness and Touched by Fire and Julia was in Touched by Fire. Both of the previous books were published in 2007 but something happened and it has been a 2-year wait for Adam and Julia’s story. I was not disappointed in the interaction between the two main characters. I felt the story itself was a little thin but the byplay between these two more than make up for any lack. Touched by Light has several characters who could have their own story. However since the first two books are out of print I suspect this is the last book in the series. Any of the books can be read as a stand along, but I think once you read one you will want to pick up the other two. Berkley Sensations published Touched by Light by Catherine Spangler in 2009. *Catherine Spangler said on her website that the delay came because life happened.